The most notable iGaming event of 2015, “The Summit of iGaming, Malta or SiGMA”, is where all eyes are lying on. The success & the fame of the previous edition of SiGMA, that took place in the Fall 2014, was quite remarkable. It turned out to be the largest iGaming Show in Malta. The Summit became so applauded that it took the whole industry by surprise in terms of networking, knowledge & business. Therefore this time, SiGMA’15 is back with more passion & ardour. The Summit starts from 4th Nov. 2015 and ends up at 7th Nov. 2015. It will be held at the luxurious InterContinental Hotel in St. Julian’s at Malta. People, from all over the world are eager & looking forward to this event. The Summit will be attended by representatives from all the facets of the industry, including iGaming, solution providers, operators, affiliates, internet marketer, B2B etc. Eman Pulis & Dennis Dyhr-Hansen are the Organisers of SiGMA’15, held in Malta. The idea behind SiGMA’15 is to bring all sorts of business positions, starting from B2B, Operators, & Affiliates within the industry under one roof. SiGMA’s debut in 2014 solidified SiGMA’s reputation as a hub for networking & business. As a result this year’s edition has managed to attract even more foreign delegates than the previous year. Thereby, boasting an industry of 300 gaming companies, 500 licenses, & 9000 person workforce, Malta is the perfect place to host SiGMA. Hence these gatherings are vital to keep the industry healthy & booming. SMTP Provider, with its 10,000+ global clients, has been providing high quality & customised Transactional & Promotional email services for the iGaming Industry for more than 6 years. The mission of SMTPProvider is to offer high quality and customised emailing services with high deliverability & expertise, along with complete eMarketing solutions to all kinds of enterprise clients. It has been successfully serving the requirements of iGaming Industries & affiliates with cloud-based email delivery service. SMTP Provider, at SiGMA’15, has come up with special customised emailing solutions for iGaming Industry & affiliates who are looking forward to get better email deliverability and make their email marketing campaigns successful. It will be also providing packages flexible enough to meet the needs & requirements of all kinds of industries. Since Malta is the perfect place for networking & businesses, especially for iGaming Industries, therefore SMTPProvider choose to participate in this reputed business event of SiGMA’15. 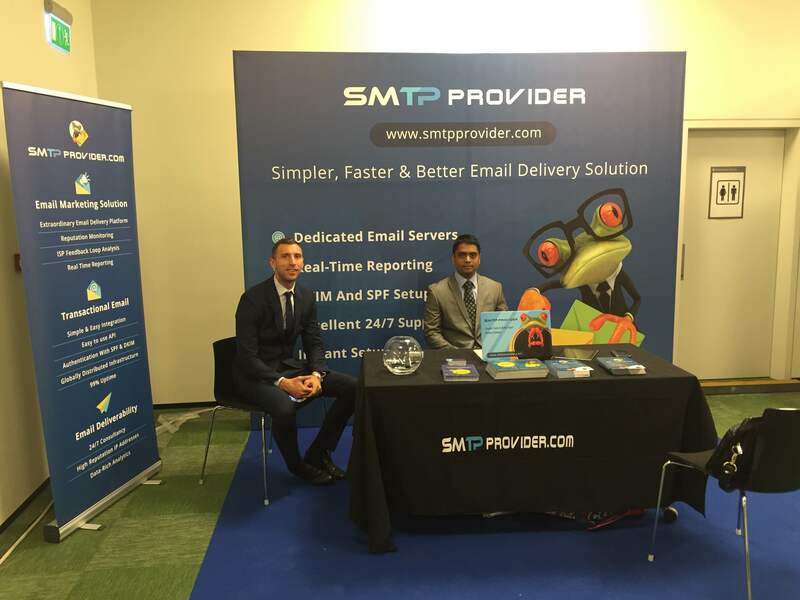 SMTP Provider is now at SiGMA’15 & has set up its Stand at the Summit of iGaming, Malta. It is ready to cater to the needs of iGaming Industries, Affiliates, Operators, Marketers, etc. 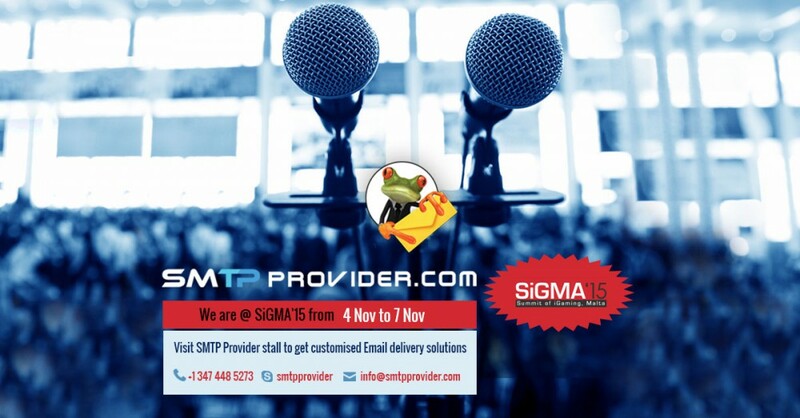 SMTP Provider is requesting all the exhibitors and participants to visit its stand at SiGMA’15- Summit of iGaming, Malta from 4th Nov. -7th Nov. 2015. How Small Business Owners Can Make The Most Of Email Marketing By 3 Email Marketing Tips ? Are you a small business owner? Do you want to boost your business with email marketing? There is no doubt that email marketing is an effective and affordable way to reach more customers and expand your business. However, it is easier said than done. You will need to put some effort and gain sufficient expertise in email marketing to ensure that you successfully reach more potential and existing customers. But is this an efficient marketing approach? You can convert anyone into a loyal customer if they share their email address with you. However, usually people do not share their email address easily with just anyone. Hence, you need to act smart when implementing email marketing. According to studies, email marketing can help you improve customer acquisition by more than 7 per cent each year and boost sales. Today email promotions have become equally effective as organic searches for driving prospects to your brands. The first and most important step is to acquire an impressive email address list from interested and potential customers. However, it will prove fruitless if you are incapable of delivering suitable and valuable content which are informative and engaging. Your must ensure that your content includes easily scannable points and is brief. Talk about only the important points and avoid what is clearly unnecessary. You must also add a call-to-action that can be either a discount, an offer, any advice to contact you or follow your brand on social media. You must ensure that you create and follow an efficient publishing calendar which will remind you and your team that it is time to send your new emails and newsletter. Once you have created informative, engaging and appealing content, you need to focus on the time and attention your readers will be willing to invest in your email. Make sure you divide your content into shorter segments and paragraphs. When you break up your content into different sections and add subheadings and images, you make your email more digestible and easier to consume for subscribers. How are you implementing email marketing in your business? Add to the discussion by sharing your views and opinions with us. How Would You Update the Settings of Your Email Software for SMTP? If you are using email software like Outlook or Windows Mail, you require using accurate settings for the transaction of messages through email. If you want to send emails through certain mail server, you should keep in mind to configure your email software with the exact SMTP settings. It’s because of the recent security improvement that you need to use the precise settings especially at the time of sending email with a third part ‘From’ address, for example, an address from your own personal domain name. However, you should note that if you use Webmail instead of email software, you won’t have to worry about these settings. You can just sign in and send and receive messages right away. Also, email users can send messages through third-party addresses straight within Webmail. Which outgoing SMTP settings should be used? If you want to send messages through certain specific mail server, your email software needs to configure the SMTP settings in order to enable email transaction. SMTP server – You need to use the specific server name that matches the ending of your email address. For example, if your email address is abc@xyz.com, you should use the server name smtp.xyz.com. SMTP authentication – While configuring the SMTP settings, you need to enable or tick this option. If you are using Apple Mail on the Mac, choose the ‘Password’ option. You should note that some email users accessing their email account with email programs likes Outlook 2007, may have to switch off SMTP authentication, but only when they do not experience any difficulties while sending email. They can un-tick ‘My outgoing server (SMTP) requires authentication’ option. On the other hand, the issue can be resolved by upgrading to higher version of Outlook. SMTP username and password – You should use the same details you have opted in for receiving mail. Make sure that you provide the full email address as your username, for example abc@xyz.com. 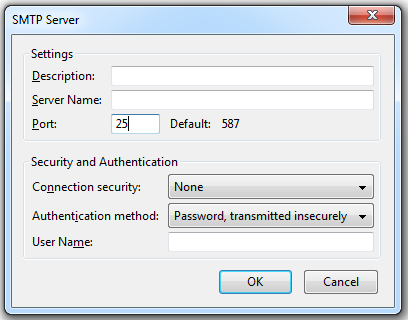 Secure Password Authentication – You need to disable or un-tick this option. 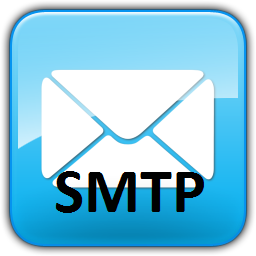 SMTP SSL – You must enable or tick this option. SMTP Port – Though default SMTP port is 25, you can check with your service provider in case you want to use different SMTP port. Email users should note that different email software offers slightly different way of checking and amending email account settings. So, you should configure SMTP settings accordingly. Emailing, these days, is considered to be one of the best modes of communication in the world of business and commerce. As the traditional postal service, also referred to as snail mail, is extremely slow, it cannot be used in today’s world. Emails are the quickest yet most cost effective way of communication. Businesses usually use emails most for marketing purposes as email marketing is one of the most effective tools of online marketing. 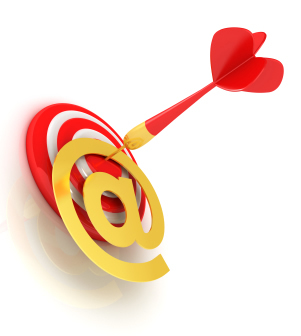 Now, mails that are sent in an email marketing campaign are sent in bulk. However, not every mail server can send bulk mails. Bulk mails are less time consuming and therefore, brilliant when it comes to sending out messages like promotional content or newsletters to an entire client base all at once. To send bulk mails, to make your email marketing campaign work, you first need to create good, precise and attractive content. But that’s not all; you also need good software to send these mails in mass. One of the best software that is used to send emails in bulk is the SMTP or Simple Mail Transfer Protocol server. The SMTP server helps send a huge lot of emails smoothly without interrupting the flow of work. A good SMTP email service is trustworthy and delivers the emails directly to the recipient’s inbox. Good SMTP services also prevent spamming and increases the visibility of emails. As the mails reach the inbox directly instead of junk mail, recipients are bound to view the mails. SMTP mail services provide many advantages that make it the best option to send bulk mail. With SMTP servers you can track your mails till they reach the recipient. This means, you can actually find out whether or not your mails have been delivered or not. The service also informs you whether the mails are in queue or have been deferred if not delivered. Also, the service helps you find out how the recipients react to your email and how many click on links provided in the email. This feature helps you figure out how successful your campaign was. Setting up SMTP is also very easy and hassle free. So, if your business requires you to send mail in bulk, it is best to resort to SMTP servers. How Cloud SMTP Service Benefits Online Businesses? The ever evolving world of technology has seen some remarkable innovations in recent times; cloud computing technology is one such. 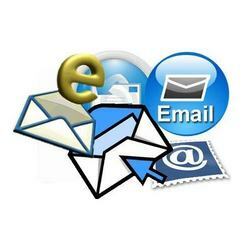 Owing to this latest development in the computing world, sending emails has become a lot easier and faster. On the other hand, hosting services have been in existence for a long time and are no less popular among the online marketers. 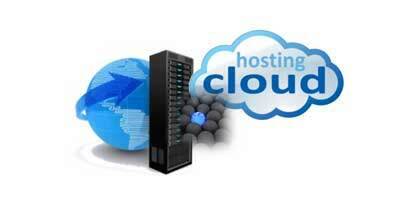 Usually, there are two primary options for hosting: shared hosting and dedicated hosting. 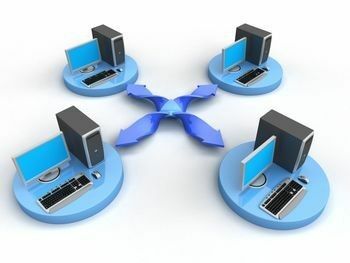 Shared hosting is cheaper, as servers are shared between the clients of hosting provider. It means that if you own a website and work on shared hosting, your website will be hosted on the same server as of others. Email marketers too face lots of problems, if they depend on the shared hosting servers. On the other hand, dedicated server is highly advanced form of hosting, as clients purchase complete physical servers with no other clients sharing it. Dedicated SMTP servers provide full control over hosting services. However, there are some limitations in the context of dedicated servers. You need to calculate the required capacity beforehand. If you underestimate the capacity, you may have to cope with the lack of required resources, whereas overestimating can lead to unnecessary charges. Cloud servers, in some respects, work similarly as the physical servers but the main difference lies with the functions of these servers. If you decide to go for cloud hosting, you are renting virtual server space on the place of purchasing or renting physical servers. These servers are generally paid according to hourly usages. Nowadays, some SMTP service providers have started offering cloud SMTP service to their clients. 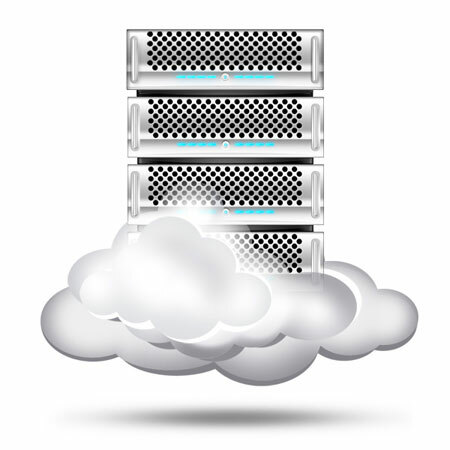 How Cloud Servers are different from Dedicated Servers? Dissimilar to dedicated servers, cloud SMTP service runs on a hypervisor. The main role of hypervisor is to keep the capacity of operating systems under check. 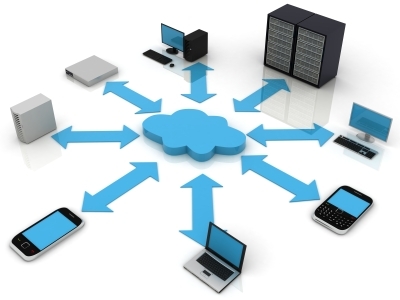 The cloud hosting services provide multiple servers to each particular client so that computing resources could be dedicated to a particular client in case the necessity arises. 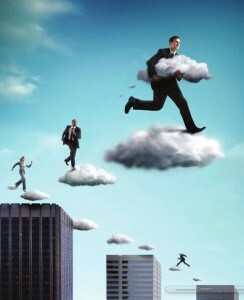 Cloud servers also offer redundancy so that if one server fails, others take over its functions. Scalability and Flexibility – With the help of cloud SMTP server, users can access extra resources as and when they require it. Cost Effective – Most bulk email servers charge hefty sum of money on the pretext of offering highly valuable services but, in the contrast, cloud SMTP server charges clients only for what they use at a particular time. Easy to Set Up – It is extremely easy to set up cloud servers in your device, as it does not require much initial setup. Reliability – As there are number of SMTP servers available to resolve the problems, users remain unaffected even if some cloud SMTP service encounter certain kind of problems. So, if you are looking for success in your online business endeavours, make sure to avail of services of cloud SMTP servers. Emailing is no doubt the best communication tool for human kind today. Whether you are a businessperson or a student, emails are used by one and all. If business persons can make use of this communication tool for dispatching promotional newsletters to subscribers, students can get in touch with their tutors and fellow mates with the help of emails. In many ways, emails have brought the people closer. Using email for personal and professional works can make the whole communication process much easier, faster and flexible. 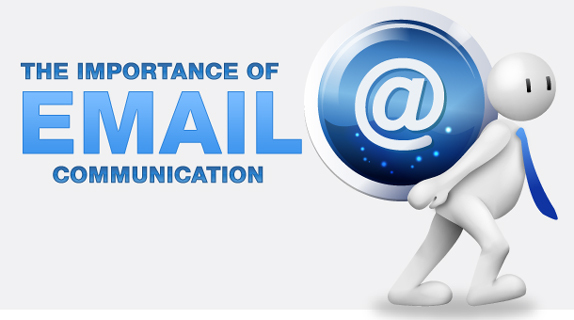 According to the stats, a large number of people, around the world, consider email as the primary mode of communication. 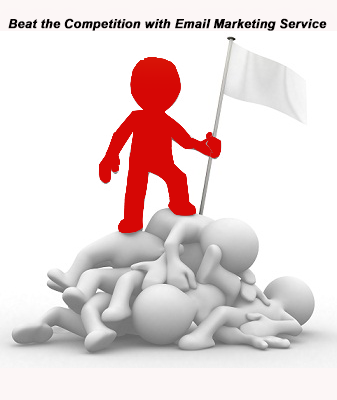 It is not only advantageous for businesses but has empowered people from all walks of life. Emailing has become the symbol of modernisation and can be used by people to stay connected with their near and dear ones as well as acquaintances, living far off. Though emails are used everywhere but businesses are among the most benefitted lot, especially in online market. The biggest challenge for online businesses is to maintain the smooth flow of emails that are sent in bulk. As not every email server promises hassle free bulk email delivery, sending mass emails have surfaced as one of the biggest challenges for online marketers. Other constraints include maintenance of IP, customer support, compatibility with email applications, reputation management, among others. If emailing is done effectively and smoothly, huge benefits are in store for online marketers. To make the entire emailing process easier, you can think of outsourcing the SMTP relay service from any reliable and reputed SMTP service provider. This server is supposed to give you an “out of the world” experience while sending bulk emails. Supports Email Applications – SMTP is compatible with almost every email application, such as Send Blaster, Mac Mail, Mozilla Thunderbird, Interspire, Mail Evolution, etc. Superior Web Mailer – To make the emailing a smooth experience, SMTP offers easy and advanced web mailing services to clients. With the help of web mailer, clients can manage their subscriber list and connect to them with complete ease. Dedicated IP Service – Clients can now ask for the dedicated server to make sure that their IP address remains unadulterated. 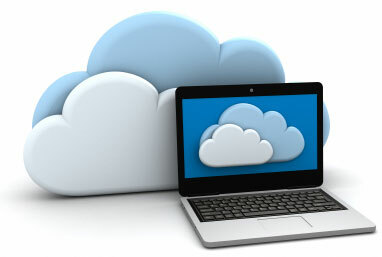 Additionally, cloud computing technology assures of smooth email delivery. Reputation Building – Reputation of online marketer makes a huge difference in success and failure of businesses. SMTP server manages your IP to strengthen your reputation in online market. Expert Support – The reliable SMTP provider offers expert support, round the clock. Hence, you see how SMTP relay service helps you manage your email campaign. There are several other benefits that you can experience after outsourcing the services from a trustworthy and experienced service provider. 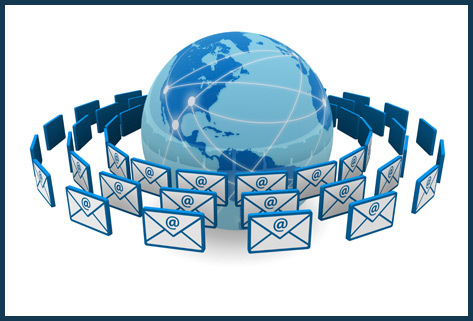 Email marketing is considered as one of the most effective and result-oriented marketing methods in present times. In today’s world of technology, as more and more people are gaining access to computer devices and internet connection, the popularity and acceptance of email marketing have soared high. It is a widely known fact that marketing done through emails can make a big and positive impact on your business. Email marketing, in all probability, if done right, can bring high Return on Investment (ROI) and increase traffic on your web page. However, it is necessary for email marketers to connect with SMTP server, if they want their marketing campaign to be successful. This mail server makes the process of emailing smoother and faster. SMTP (Simple Mail Transfer Protocol) looks after outgoing mail delivery process and makes it smoother. It happens sometimes with email marketers that in spite of having installed SMTP, emails sent by them are not being delivered properly. So, What is the option Left with Email Marketer? If such circumstances occur, email marketers should instantly check their SMTP mail server connection and if needed, they must find an alternative. They should seek services from a reliable and trustworthy SMTP service provider because of the quality of services offered by them. The reliable SMTP server is attuned to almost every email application. So, it does not matter whether you use Mac Mail, Mail Evolution, Send Blaster, Mozilla Thunderbird, Interspire or any other email application, an experienced service provider is compatible with almost all the email applications. For a successful email campaign, your emails and newsletters need to be delivered properly. The experienced SMTP providers have developed their technology and expertise to effectively deal with all the email delivery requirements. SMTP providers with expertise in the market offer advanced and easy web mailing service to their clients and allow them to benefit from smooth emailing experience. The advanced web mailer also helps you manage your subscription list and connect to the subscribers with greater ease. If you are a bulk mailer, you must have a dedicated IP. Though SMTP providers offer shared as well as unique IP, bulk e-mailers should go for dedicated IP services. Some of the SMTP providers offer cloud computing technology to assure speedy and timely email delivery. There are several different services offered by SMTP providers. Email marketers should make the best use of SMTP services to ensure success in their email marketing campaign.